Before I tell you why I respond this way, humour me for just a moment. Imagine yourself standing on the grass at the edge of a show ring. Now, imagine you’re standing with your feet together before taking one step into the ring. Look down at your feet. Look at the grass. Look up the sky. Now take an imaginary step outside of the ring and repeat the process. What’s different? Your feet? The grass? The sky? That’s right. Nothing is different. The only difference is an arbitrary line that you think of as ‘inside’ and ‘outside’. About to cross the arbitrary line. So, what am I getting at? Well, it’s simple really. Your dog doesn’t register, let alone care, about the difference between this arbitrary line constructed by dog show organisers. As far as they’re concerned, the grass is still the same and so is the sky. 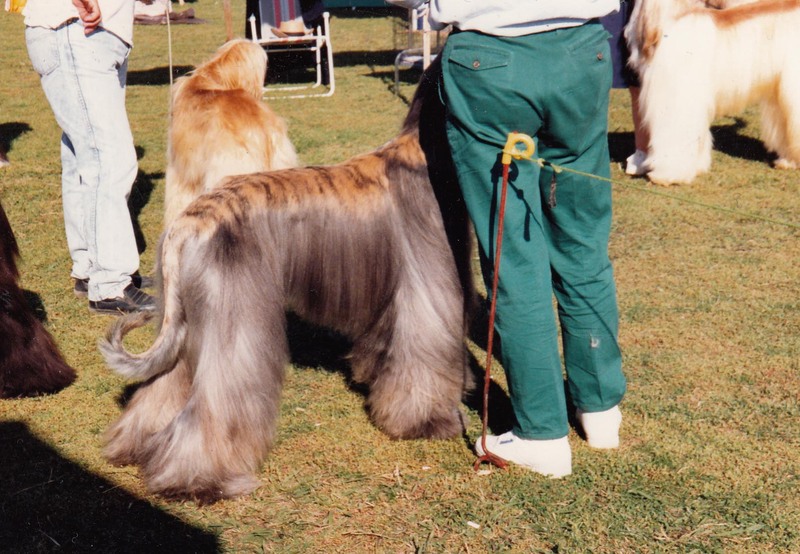 In fact, as your dog enters a show ring, all they register is that they’re moving into a nice open area. The only one who knows – or actually cares is… you guessed it. You, the handler. So, why is it that if our dog behaves differently inside that ring than outside of it that we think it’s our dog’s problem? Well, consider this. When we enter the ring, we see the judge standing on the other side holding all our hopes and dreams in the form of a first place ribbon. Then we notice our peers watching on ringside ready to rate and critique our dog and its performance. What will they think? Will the judge award us first place? Will our peers admire our dog? Will we win because our dog doesn’t put a foot wrong, or will we end up empty-handed because our dog has misbehaved and made a fool out of both of us? The fact is that it’s a human trait, due to some strange quirk of our psyche, to most easily imagine the worst of all possible outcomes and, as a result, focus on these in favour of success. However, outside of the ring when there is no fear of failure, we are relaxed, confident and care free, and our dogs respond accordingly. At home or in the park, we ask our dog to do what we want, when we want and when they do it to our satisfaction we readily heap reward on them to show how pleased we are with their actions. Simple commands such as “Come!”, “Steady!”, “Stand!” and “Good dog!” all magically work a treat. Yet, when the ring steward calls our number and we look to our armband and realise that it’s our turn to enter the ring; what happens? All too frequently we jam up, freeze, get nervous and are no longer the same person to our dog that we were at home or in the park. Unconsciously, we start to use the lead in a different way, use our voice a different way, and stand in a different position. Ultimately, we confuse our dog, and because they can’t use logic to work out what our problem is, they revert to doing “dog things” in order to compensate for our sudden loss of leadership. The fact is, our mind and our dog’s mind simply do not work the same way. So, when nerves, fear or lack of confidence strike us as soon as we cross that arbitrary line into what we call the show ring, our dog responds accordingly. Blind to our own communication signals, we then wrongly interpret this behavior change as our dog’s ‘fear’ of the ring even though this has nothing to do with them and everything to do with us. Once we accept the true reason some dogs “don’t like the show ring”, then the solution to this problem becomes much easier. So, how about you? What’s your experience? 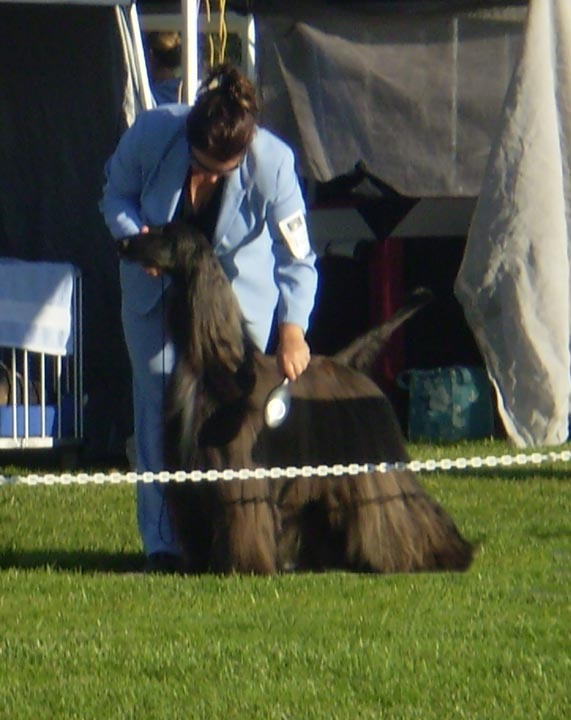 Do you become nervous entering the show ring and end up blaming a poor performance on your dog? You are so right .I get all f those thing . Iam trying to do better. The perfect dog handlers xmas gift! When your dog sniffs the grass! Bev on The Still Right Hand!